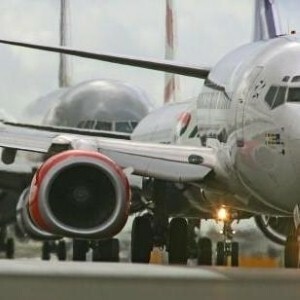 Increases in transatlantic travel have been the biggest trend over the last 12 months at Heathrow Airport, a spokesman for the hub has said. Short-haul flights have been slightly dropping off over recent months as increasing numbers of Britons head further abroad, with the US in particular a favourite destination – thanks largely to the strength of the pound against the dollar. Damon Hunt, a spokesman for Heathrow Airport, explained: "Heathrow Airport is at 99 per cent capacity all the time so it's difficult to spot significant trends. The biggest trend that we've noticed in the last 12 months is a strengthening in our transatlantic traffic, so more people going to the US, and a dropping off of short haul." He added that there are "definitely… a lot more people heading to the US and potentially that is because of the exchange rate". But travellers looking to save money by heading to the US are also urged to remember that travel insurance is vital for any overseas trip – with business travel insurance in particular covering those jetting to the States for work purposes.